The strange orbits of some objects in the farthest reaches of our solar system, hypothesised by some astronomers to be shaped by an unknown ninth planet, can instead be explained by the combined gravitational force of small objects orbiting the Sun beyond Neptune, say researchers. The alternative explanation to the so-called ‘Planet Nine’ hypothesis, put forward by researchers at the University of Cambridge and the American University of Beirut, proposes a disc made up of small icy bodies with a combined mass as much as ten times that of Earth. When combined with a simplified model of the solar system, the gravitational forces of the hypothesised disc can account for the unusual orbital architecture exhibited by some objects at the outer reaches of the solar system. While the new theory is not the first to propose that the gravitational forces of a massive disc made of small objects could avoid the need for a ninth planet, it is the first such theory which is able to explain the significant features of the observed orbits while accounting for the mass and gravity of the other eight planets in our solar system. The results are reported in the Astronomical Journal. Beyond the orbit of Neptune lies the Kuiper Belt, which is made up of small bodies left over from the formation of the solar system. Neptune and the other giant planets gravitationally influence the objects in the Kuiper Belt and beyond, collectively known as trans-Neptunian Objects (TNOs), which encircle the Sun on nearly-circular paths from almost all directions. However, astronomers have discovered some mysterious outliers. Since 2003, around 30 TNOs on highly elliptical orbits have been spotted: they stand out from the rest of the TNOs by sharing, on average, the same spatial orientation. This type of clustering cannot be explained by our existing eight-planet solar system architecture and has led to some astronomers hypothesising that the unusual orbits could be influenced by the existence of an as-yet-unknown ninth planet. The ‘Planet Nine’ hypothesis suggests that to account for the unusual orbits of these TNOs, there would have to be another planet, believed to be about ten times more massive than Earth, lurking in the distant reaches of the solar system and ‘shepherding’ the TNOs in the same direction through the combined effect of its gravity and that of the rest of the solar system. Professor Jihad Touma, from the American University of Beirut, and his former student Sefilian modelled the full spatial dynamics of TNOs with the combined action of the giant outer planets and a massive, extended disc beyond Neptune. The duo’s calculations, which grew out of a seminar at the American University of Beirut, revealed that such a model can explain the perplexing spatially clustered orbits of some TNOs. In the process, they were able to identify ranges in the disc’s mass, its ‘roundness’ (or eccentricity), and forced gradual shifts in its orientations (or precession rate), which faithfully reproduced the outlier TNO orbits. “If you remove planet nine from the model and instead allow for lots of small objects scattered across a wide area, collective attractions between those objects could just as easily account for the eccentric orbits we see in some TNOs,” said Sefilian, who is a Gates Cambridge Scholar and a member of Darwin College. Earlier attempts to estimate the total mass of objects beyond Neptune have only added up to around one-tenth the mass of the Earth. However, in order for the TNOs to have the observed orbits and for there to be no Planet Nine, the model put forward by Sefilian and Touma requires the combined mass of the Kuiper Belt to be between a few to ten times the mass of the Earth. “When observing other systems, we often study the disc surrounding the host star to infer the properties of any planets in orbit around it,” said Sefilian. “The problem is when you’re observing the disc from inside the system, it’s almost impossible to see the whole thing at once. While we don’t have direct observational evidence for the disc, neither do we have it for Planet Nine, which is why we’re investigating other possibilities. Nevertheless, it is interesting to note that observations of Kuiper belt analogues around other stars, as well as planet formation models, reveal massive remnant populations of debris. Publication: Antranik A. Sefilian and Jihad R. Touma. ‘Shepherding in a self-gravitating disk of trans-Neptunian objects.’ Astronomical Journal (2019). 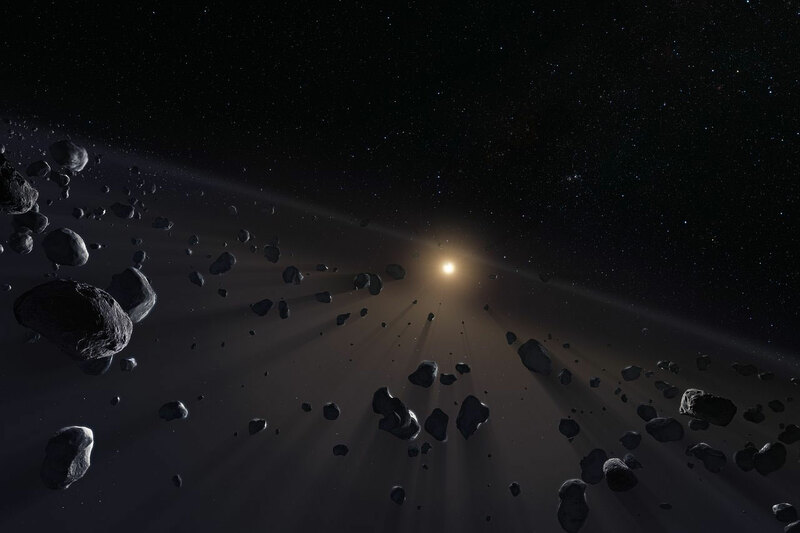 Be the first to comment on "Astronomers Explain Mystery Orbits in Outermost Reaches of Solar System"